One of the primary missions of the St. John Paul II Society is to open the hearts of the men and women of our time to the grace that enabled the Sainted Holy Father to unite his sufferings with those of Jesus Christ for the whole Church. 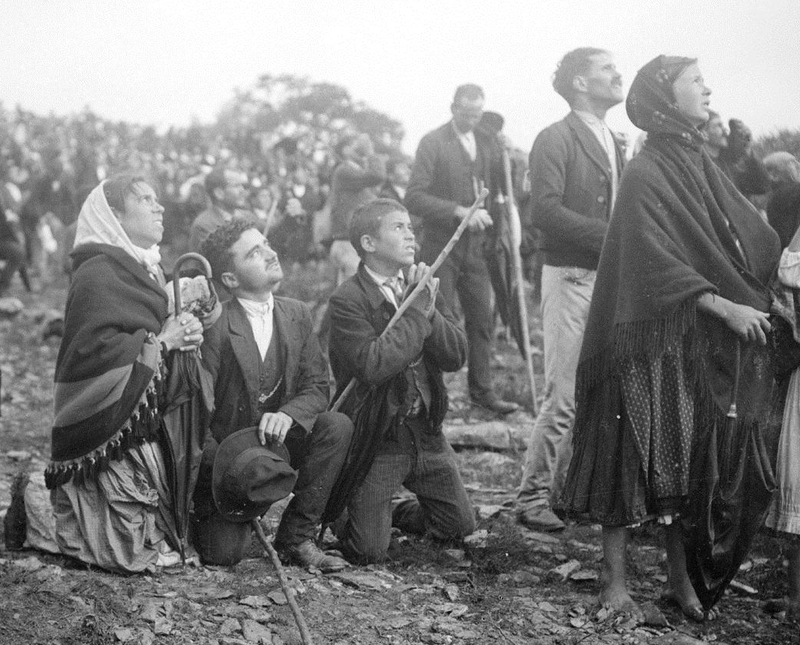 For St. John Paul II, the channel of this grace of redemptive suffering was his lifelong devotion to Our Lady, especially as she appeared at Fatima, Portugal in 1917. At first the children’s reports met with scorn and derision, but on the thirteenth day of each month a crowd grew and people reported seeing atmospheric disturbances during the children’s vision. Finally, on October 13th, before a crowd estimated at 70,000, the torrential rain that had been falling all morning suddenly stopped and the clouds immediately parted, revealing the sun spinning on its axis and appearing to plummet towards the earth. *The Vision of Fatima, Fr. Thomas McGlynn, O.P. 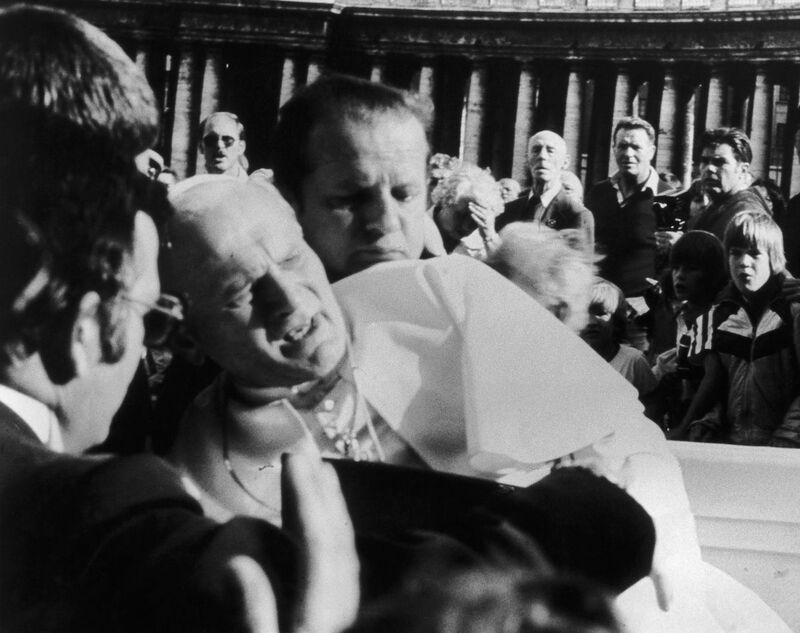 On May 13th, 1981, the Feast of Our Lady of Fatima, Pope John Paul II was shot four times in Saint Peter’s Square. One of the bullets missed his heart by inches, but he survived. Considering not only his survival but also his sufferings as providential, the Pope said that “one hand pulled the trigger and another guided the bullet,” and credited Our Lady of Fatima with protecting him from death. He had the bullet that struck closest to his heart hammered into the crown that adorns the statue of Our Lady of Fatima in Portugal. In his later years, St. John Paul II himself shared this “particle of the infinite treasure” in a very public way with the whole Church and the world through his debilitating struggle with Parkinson’s Disease, which lasted until his death on March 31 2005. Perhaps one of the most striking ways in which St. John Paul II “offered up” his sufferings in union with those of Christ was by forgiving the man who caused him so much pain: his shooter Mehmet Ali Ağca. Ağca, a Turkish citizen and a Muslim, was an unstable character who claimed various contradictory motivations for the assassination attempt throughout his lifetime. 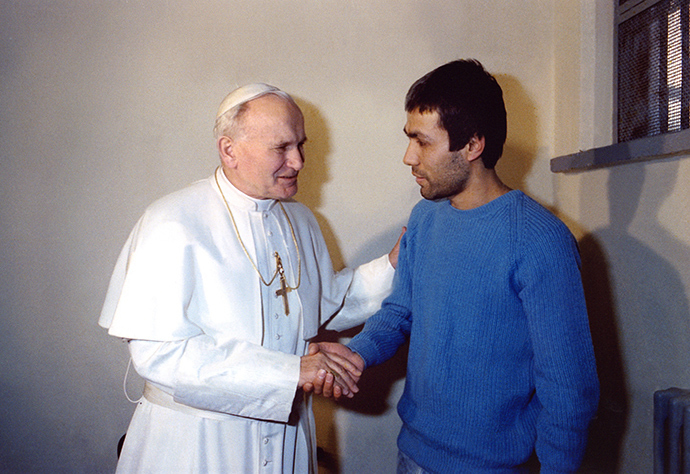 While he was serving his sentence in Rome prior to his extradition to Turkey, the Holy Father visited him in prison. Like those who Christ forgave from the cross, it is unclear what the Pope’s message meant to Ağca. Yet for the greater world, and especially for all Catholics, it was a sign of the limitless love of God for sinners. It was also a witness of the Catholic Church’s dedication to peace and understanding between Catholics and Muslims, a dedication that has deep connections to the miracles at Fatima. As Venerable Fulton Sheen put it, “I believe that the Blessed Virgin chose to be known as ‘Our Lady of Fatima’ as a pledge and a sign of hope to the Moslem people, and as an assurance that they, who show her so much respect, will one day accept her Divine Son, too.” The town of Fatima itself is said to be named for a beautiful Muslim girl who converted to the Catholic faith after falling in love with a young Catholic man. The St. John Paul II Society, under the guidance of the Dominican Friars, is in a unique position to bring ordinary men and women in contact with the graces St. John Paul II received through a lifetime of Marian devotion. Having been entrusted with a first class relic of the Sainted Holy Father by Rome – a bloodstained piece of the sash he wore during the assassination attempt – the Society is creating a shrine centered on the relationship of John Paul II and our Lady of Fatima. To further adorn the shrine, the St. John Paul II Society has commissioned an iconographer to depict scenes from the Sainted Holy Father’s life, particularly the events surrounding the assassination attempt, and of saints related to Europe’s struggle with totalitarianism such as Edith Stein and Maximilian Kolbe. On October 12th, 2017, the vigil of the 100th Anniversary of the Miracle of the Sun, relics of St. Jacinta Marto and St. John Paul II were presented for veneration at the shrine. Msgr. Slawomir Oder, postulator of St. John Paul II’s cause for canonization, preached the homily and His Excellency, The Most Reverend Bernardito Auza celebrated Mass. 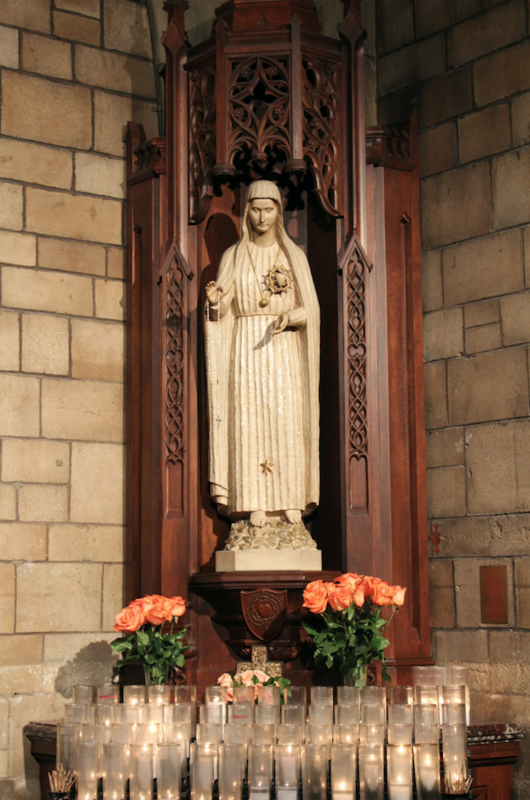 Afterward the relic of St. Jacinta was permanently installed beside the relic of St. John Paul II at the shrine is available for public veneration.